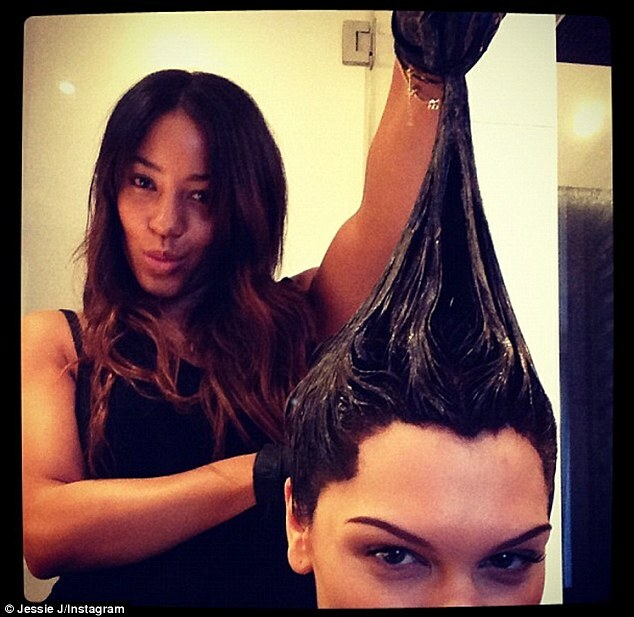 Jessie having her hair styled back into a bob, 30 November. . Wallpaper and background images in the Jessie J club tagged: jessie j 2012. This Jessie J photo might contain potret, headshot, closeup, and headshot closeup.